Posted Oct 13, 2018 by Eds. Nothing less than the future of politics across the West—and across the Global South—is being played out in Brazil. 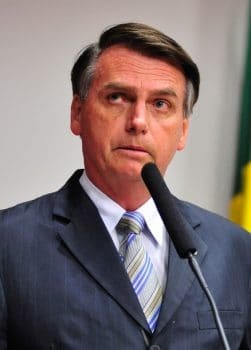 Bolsonaro, a mediocre member of Congress for 27 years with no highlights on his C.V., indiscriminately demonizes blacks, the LGBT community, the Left as a whole, the environment “scam” and most of all, the poor. He’s avowedly pro-torture. He markets himself as a Messiah—a fatalistic avatar coming to “save” Brazil from all those “sins” above. The Goddess of the Market, predictably, embraces him. “Investors”—those semi-divine entities—deem him good for “the market”, with his last-minute offensive in the polls mirroring a rally in the Brazilian real and the Sao Paulo stock exchange. Bolsonaro may be your classic extreme-right “savior” in the Nazi mould. He may embody Right populism to the core. But he’s definitely not a “sovereignist”—the motto of choice in political debate across the West. His “sovereign” Brazil would be run more like a retro-military dictatorship totally subordinated to Washington’s whims. Brazil has 42 million evangelicals—and over 200 representatives in both branches of Parliament. Don’t mess with their jihad. 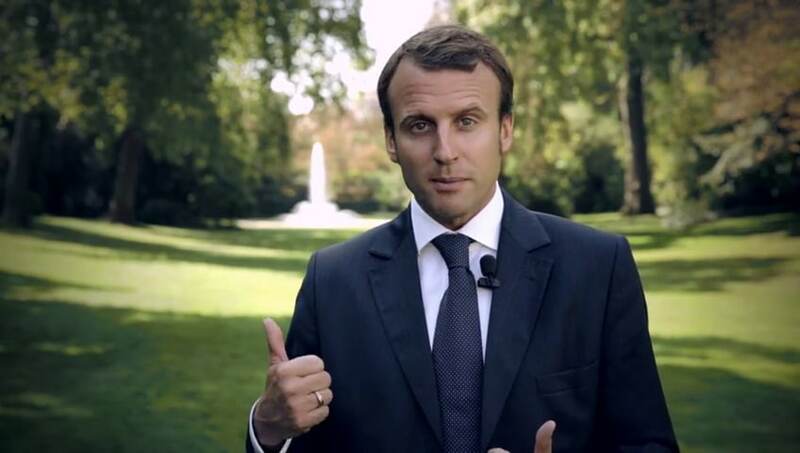 They know how to exercise massive appeal among the beggars at the neoliberal banquet. The Lula Left simply didn’t know how to seduce them. So even with echoes of Mike Pence, Bolsonaro is the Brazilian Trump only to a certain extent: his communication skills—talking tough, simplistically, is language understandable to a seven-year old. Educated Italians compare him to Matteo Salvini, the Lega leader, now Minister of Interior. But that’s also not exactly the case. Way more complex than any color revolution, Hybrid War in Brazil featured a law-fare coup under cover of the Car Wash anti-corruption investigation. That led to the impeachment of President Dilma Rousseff and Lula being thrown in jail on corruption charges with no hard evidence or smoking gun. The European parliament in Strasbourg—a bastion of bureaucratic inefficiency—is not exactly a household name across the EU. The parliament is barred from proposing legislation. Laws and budgets can only be blocked via a majority vote. 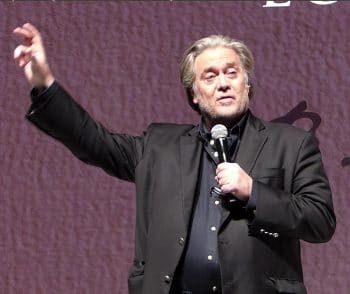 Bannon aims at capturing at least one-third of the seats in Strasbourg. He’s bound to apply tested American-style methods such as intensive polling, data analysis, and intensive social media campaigns—much the same as in Bolsonaro’s case. But there’s no guarantee it will work, of course. 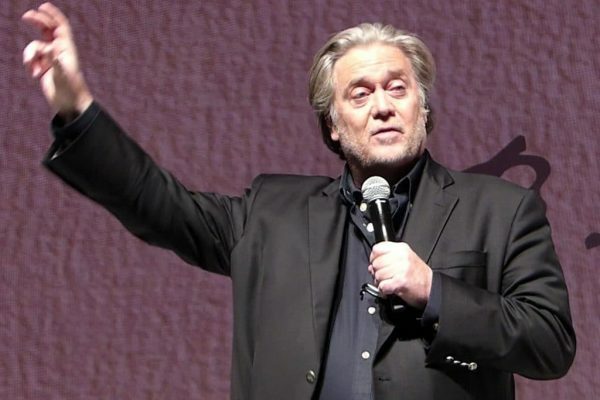 The only themes that unite this mixed Right Populism bag are nationalism, a fuzzy anti-establishment drive and a—quite popular—disgust with the EU’s overwhelming bureaucratic machine. Here we find some common ground with Bolsonaro, who poses as a nationalist and as against the Brazilian political system—even though he’s been in Parliament for ages. It’s not only Bannon and The Movement’s Modrikamen. Salvini, Le Pen and Orban are convinced they can win the 2019 elections—with the EU transformed into a “Union of European Nations.” This would include not just a couple of big cities where all the action is, with the rest reduced to fly over status. Right Populism argues that France, Italy, Spain, and Greece are no longer nations—only mere provinces. Right Populism derives immense satisfaction that its main enemy is the self-described “Jupiter” Macron—mocked across France by some as the “Little Sun King.” President Emmanuel Macron must be terrified that Salvini is emerging as the “leading light” of European nationalists. 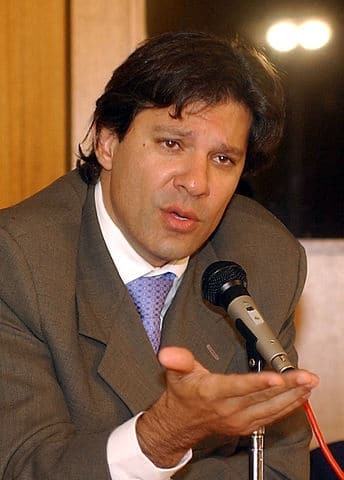 On top of that—unlike virtually the whole Brazilian political spectrum—Haddad is not corrupt. He’d have to offer the requisite pound of flesh to the usual suspects if he wins of course. But he’s not out to be their puppet. That’s undiluted MAGA—without a “B”. Liberalism and Cultural Marxism destroyed our supremacy and destroyed this wonderful past where we ruled and our cultural traditions were the ones that dominated. And then it militarizes the feeling of nostalgia. All the anxiety and loss that people feel in their lives, say from the loss of their healthcare, the loss of their pensions, the loss of their stability, then gets rerouted into a sense that the real enemy is liberalism, which led to the loss of this mythic past. Haddad: Three weeks to head off Bolsonaro. Sharp minds from Slavoj Zizek to Chantal Mouffe are trying to conceptualize an alternative—without being able to coin the definitive neologism. Left populism? Popularism? Ideally, that should be “democratic socialism”—but no one, in a post-ideology, post-truth environment, would dare utter the dreaded word. Arguably the best book explaining the failure of the Left everywhere to deal with this toxic situation is Jean-Claude Michea’s Le Loup dans la Bergerie—The Wolf Among the Sheep—published in France a few days ago. Michea shows concisely how the deep contradictions of liberalism since the 18th century—political, economic and cultural—led it to TURN AGAINST ITSELF and be cut off from the initial spirit of tolerance (Adam Smith, David Hume, Montesquieu). That’s why we are deep inside post-democratic capitalism. Michea is right that the most dangerous enemy of civilization—and even Life on Earth—is the blind dynamics of endless accumulation of capital. We know where this neoliberal Brave New World is taking us. For now, such a movement rests in the realm of Utopia. What’s left is to try to remedy a coming dystopia—such as backing a real Progressive Democratic Front to block a Bolsonaro Brazil. During a long dinner in a small Venetian trattoria away from the galloping selfie hordes, Petri observed how Salvini—a middle-class small entrepreneur—craftily found out how to channel a deep unconscious longing for a mythical harmonious Europe that won’t be coming back, much as petty bourgeois Bolsonaro evokes a mythical return to the “Brazilian miracle” during the 1964-1985 military dictatorship.